Want to dissect embedded protocols and break into IoT devices? But don’t know where and how to start? This village is for you! 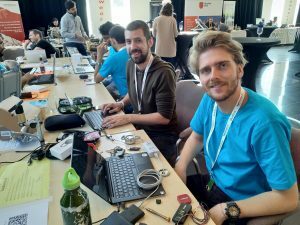 The IOT village will provide an excellent opportunity for attendees to hack into smart Internet of Things devices. 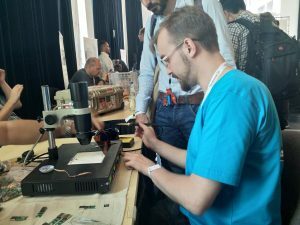 It is a learning focused event where we will be bringing tons of challenges – on hardware protocols, debug interfaces, firmware analysis and more and also help the attendees with the requisite basic knowledge of the process. Seeing the love we received for our open source EXPLIoT framework in past couple of months, we want to help folks learn more about the framework. We will be teaching the architecture, usage and plugin development to get the most out of EXPLIoT framework. You can quickly make own plugins and start contributing to the project. Players compete against one another by exploiting off-the-shelf IoT devices on a segmented network.